Heavy rain before the start saw the opening laps completed behind the Safety Car, but when racing began we battled hard. Unfortunately we received a 'drive through' penalty due to our pit stop being 0.4 seconds too quick, which dropped us four places. 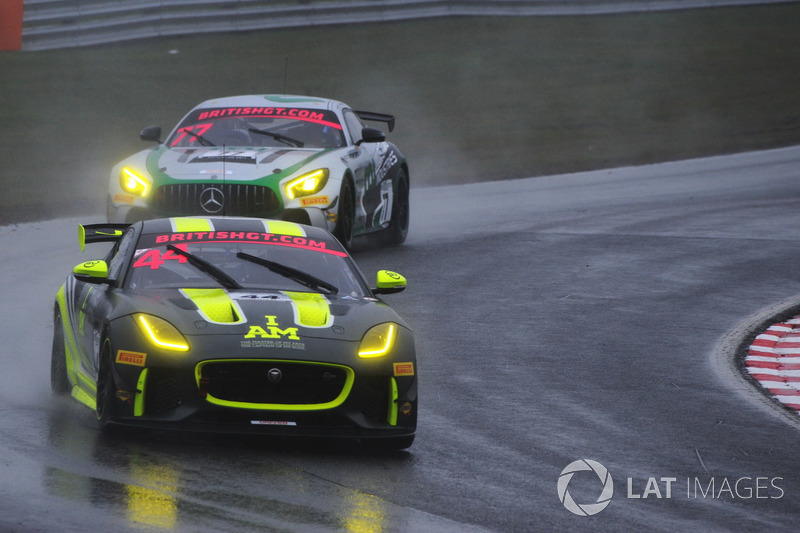 The second of the day’s two races – and event as a whole – was abandoned due to persistent rain and standing water. Senior Clerk of the Course David Scott, MSA Steward Greg Masters and British GT Race Director Peter Daly collectively took the decision to abandon the rest of Monday’s meeting on the grounds of safety due to the adverse weather conditions. We therefore finished as per our qualifying position.